Hi friends, today I am sharing with you my latest layout. I made this project for The Cut Shoppe monthly challenge : "White on White". I decided to create a cute scene this time, and to not document a photo. I used a cutfile from The cut shoppe for the background. 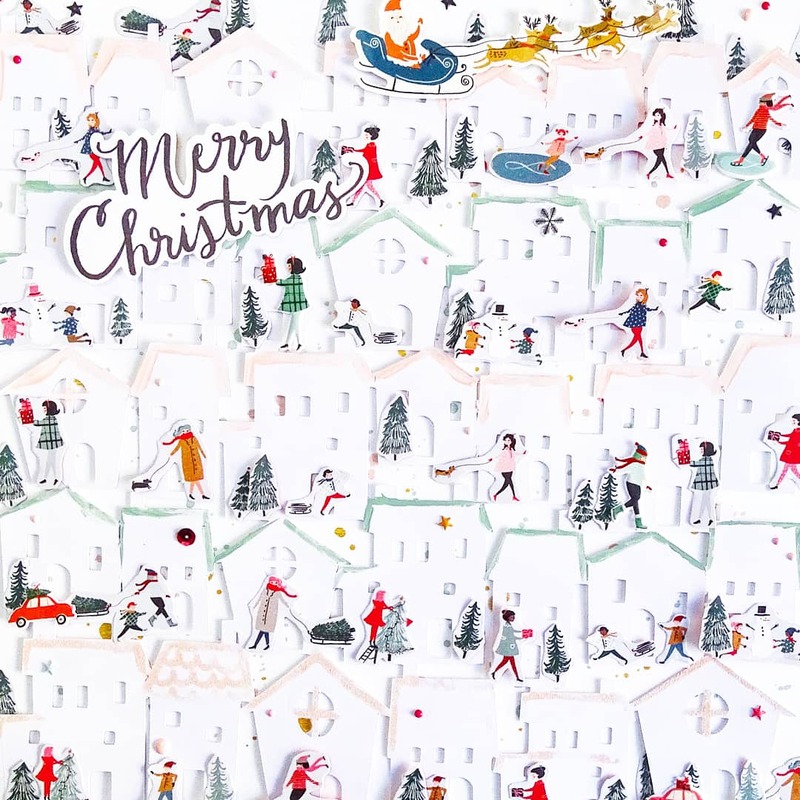 Then I fussy cutted a whole page from Crate Paper "Merry Days" collection. It took me some time, but I love the result! It would be perfect to put in a frame, don't you think ?